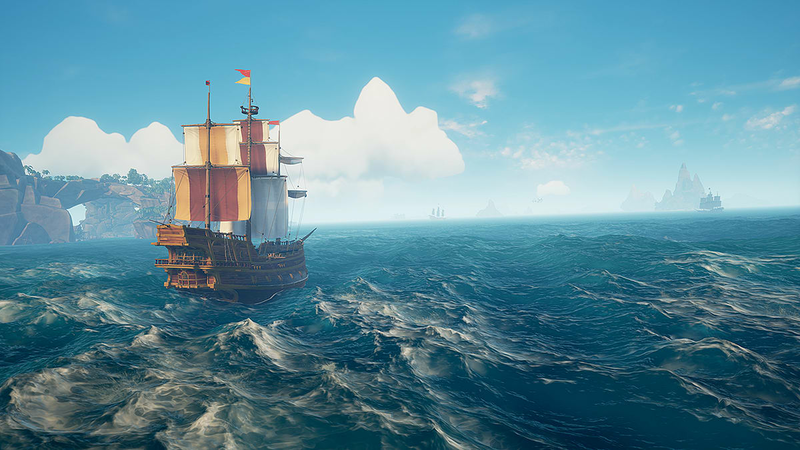 As a shared-world adventure game, Sea of Thieves immerses you in a new type of multiplayer action. 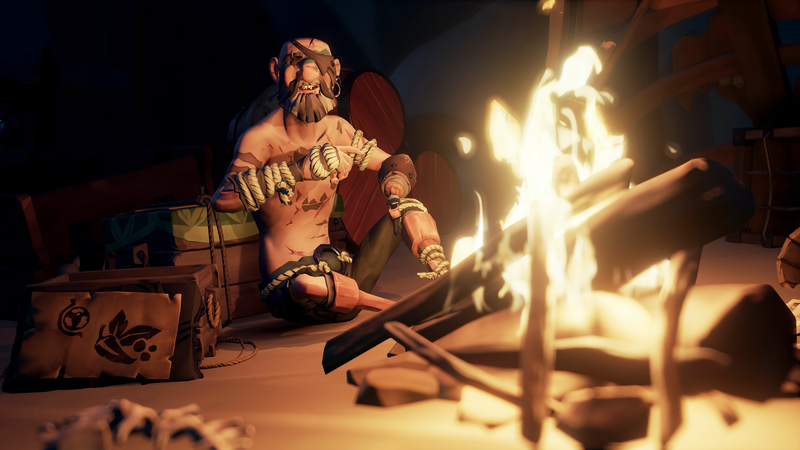 Whether you’re adventuring as a group or sailing solo, you’re bound to encounter other crews – but will they be friends or foes, and how will you respond? 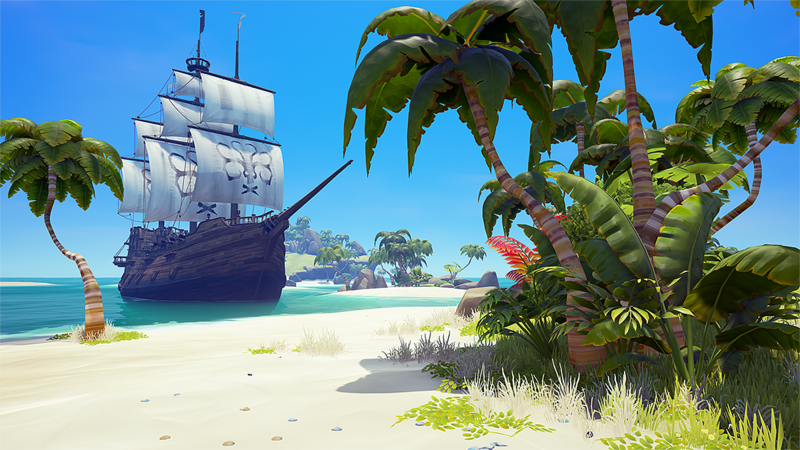 Reputation is everything on the high seas, and naturally, your aim is to become a pirate legend. 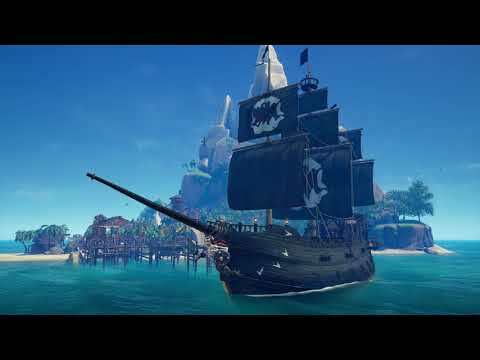 How you choose to make your mark within the world is up to you, and your actions and adventures will ultimately shape the tales that others tell about you. 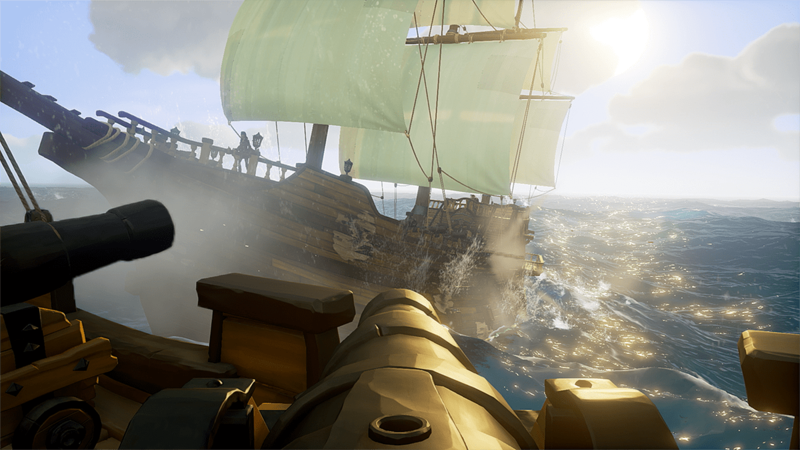 A world of excitement – engage in ship-to-ship crew battles with cannon, pistol and cutlass, pursuing rival ships through raging storms. 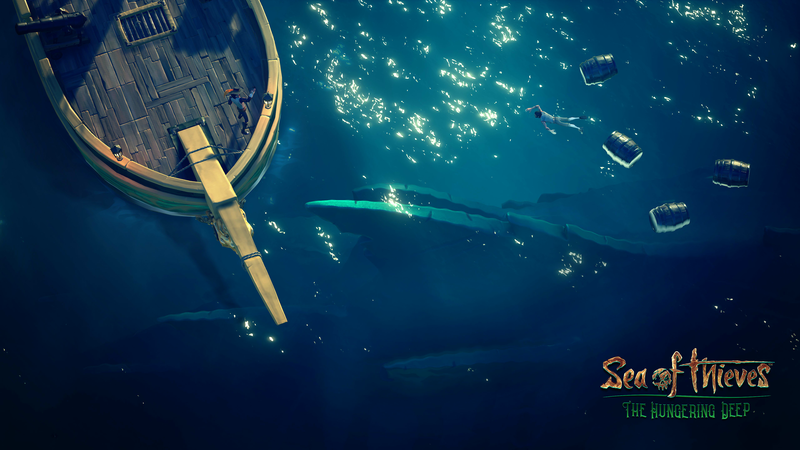 Sail in pursuit of deadly bounties or ferry cargo through hostile waters. 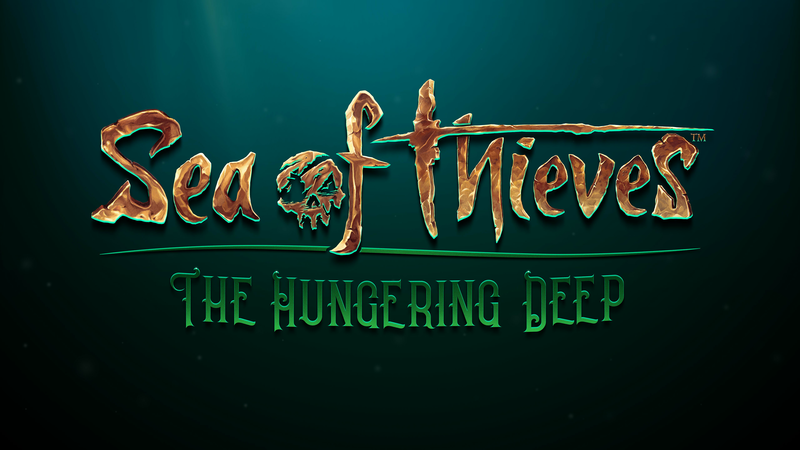 Clash with the skeletal remains of cursed former pirates and beware undersea menaces that lurk beneath the waves! 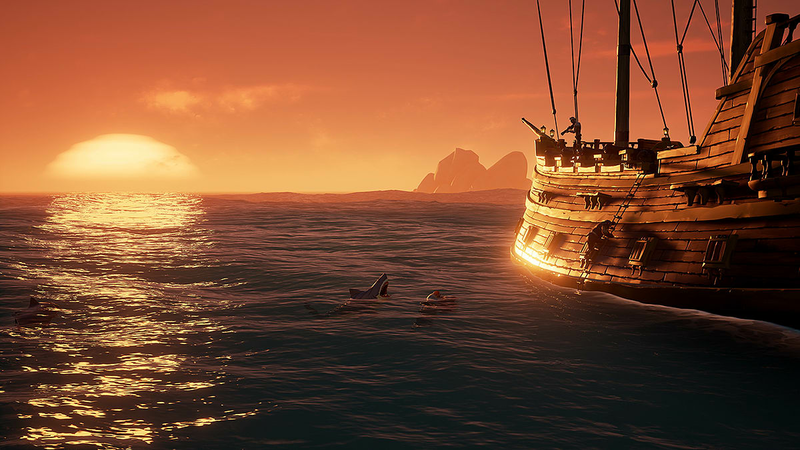 A world we sail together – whether you’re playing alongside friends, matchmaking to find a crew or setting out as a ‘lone wolf’ pirate, you’ll have hilarious, memorable encounters in a world where every sail on the horizon is a crew of real players. 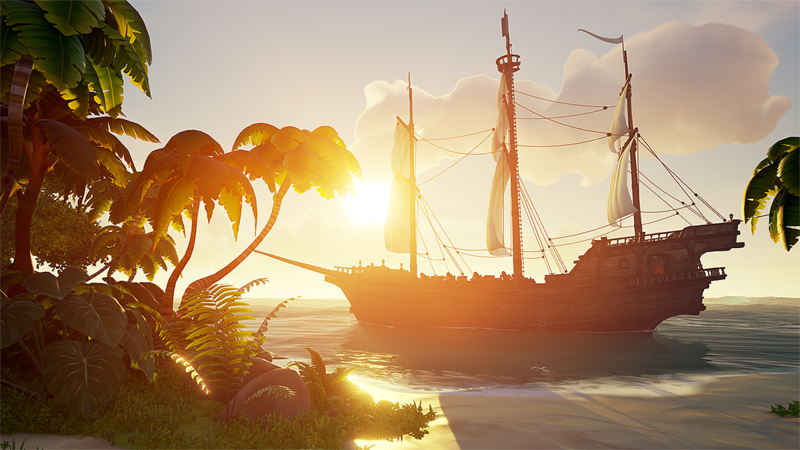 A world of achievement – on your quest to become a pirate legend you’ll amass loot, build a reputation and customize your ship (and yourself) with your hard-earned rewards.